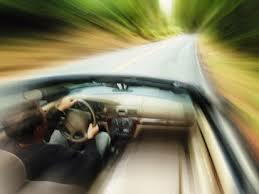 Motorists picked up for DUI in Los Angeles often face additional charges of speeding and/or reckless driving. While they may exceed the speed limits by 10, 20, or even 30 miles per hour, few reach the speeds achieved by DUI drivers in Lyndonville, Vermont, and Kershaw County, South Carolina. Kershaw County deputies picked up 28-year-old John Edward Hannah over the Thanksgiving holiday weekend and charged him with DUI for the second time in five months. He allegedly attracted their attention by traveling 115 miles per hour on Interstate 20. Hannah perhaps confused the Interstate with a raceway; at the time of his arrest last June, he was also speeding along on I-20. He was a little slower that time, however, moving “only” at 114 mph. The initial DUI charges against Hannah are still making their way through the court system. In another case up to the north, several online news sites reported on the arrest of Travis Sartwell, age 35, on the Saturday after Thanksgiving. Vermont State Trooper Stephen McGranaghan clocked Sartwell going close to 100 miles per hour when the motorist sped by him going northbound on Interstate 91. Sartwell was also reportedly enjoying a beer at the time. That would have been bad enough, but the police officer soon discovered the situation was worse than he originally believed. Per news reports, when Officer McGranaghan pulled Sartwell over, he discovered the man had not only been risking his own life, but he had also been risking the lives of his passengers. They included his 35-year- old girlfriend and her two children, ages three and five. A breathalyzer test revealed that Sartwell had a 0.117% blood alcohol reading – well above the BAC limit for DUI in Los Angeles of 0.08%. He faces charges of DUI, reckless endangerment and two counts of cruelty to a child. He is due to appear in Superior Court in mid-December. Per California Vehicle Code Section 23103, it’s illegal to drive “in willful or wanton disregard for the safety of persons or property.” If you’re consciously speeding and ignoring this risk, you could face charges.